The Property consists of varied terrain including gently sloping meadows, gullies, hillsides and dynamic rock formations. Predominantly covered with scattered sage and native grasses, the Property could easily support several saddle horses or a few head of cattle. A neighboring rancher has lightly grazed the Property with livestock over the past several years, promoting healthy native vegetation. Contained within the 156± acres are approximately 45 acres of land that has been farmed in past years. Several locations exist to construct a home with outbuildings and a secluded riding arena while retaining the commanding views of the nearby mountain ranges. With the personal touches of the new owner, there is potential to create something very special in a private, yet accessible locale. The Property and adjoining acreages are protected by restrictive covenants further safeguarding the land and owner’s investment. Additionally, with no existing structures on the Property and dependable access via a well-graveled road, the new owner has the flexibility to retain the entire acreage or create two separate parcels. 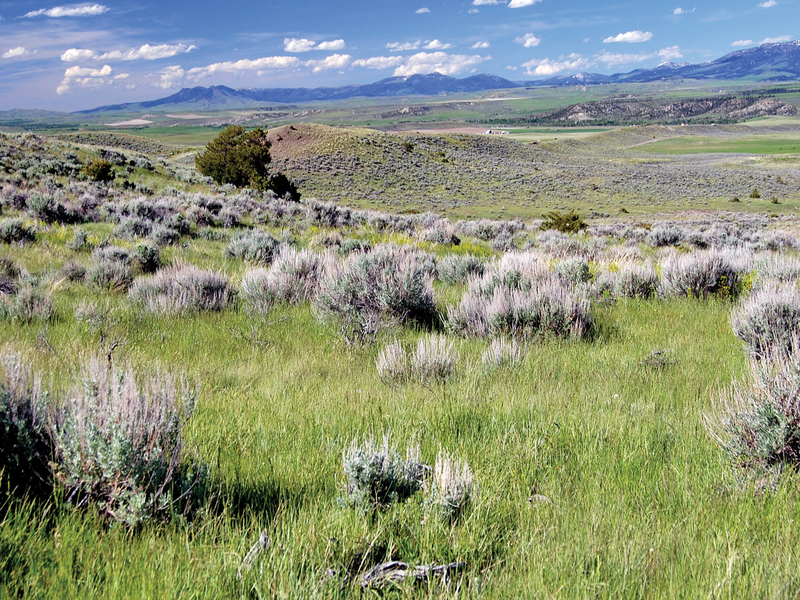 Big View Basin is in a fertile wildlife corridor and hosts abundant numbers of sage grouse, Hungarian partridge and other upland game bird species. A local herd of elk traverses through the Property in the fall as they descend out of the nearby Bangtail Mountain Range on their way to their winter range. The potential to develop a very private and well-located enclave will become evident upon inspecting the Property. Offered at $299,000, the Property is a very attractive option for the buyer seeking privacy and tremendous “Big Sky Country” views. Big View Basin is located about two miles west of the rural town of Clyde Park, Montana and about twenty miles north of Livingston via US Highway 89. 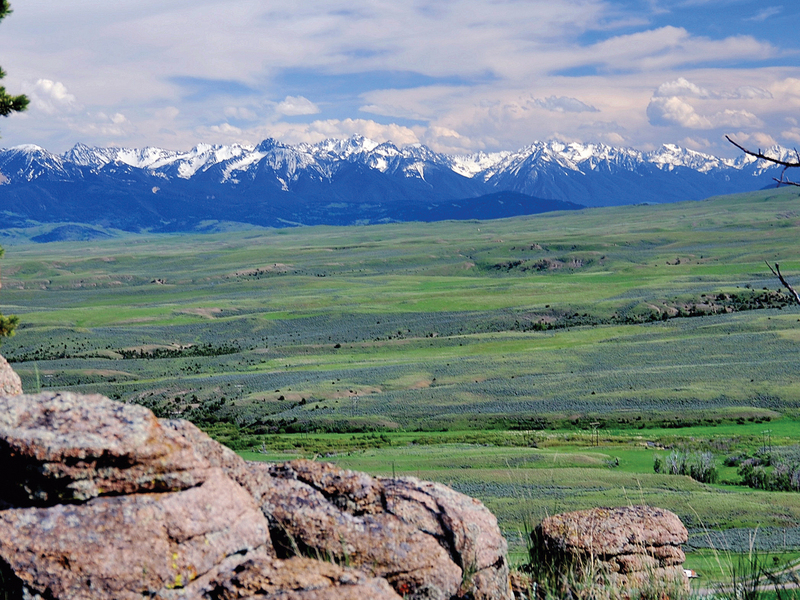 Bozeman, Montana is a comfortable 45-minute drive to the west via Livingston or Bridger Canyon via Bracket Creek Road. The paving of Bracket Creek Road will be completed during the summer of 2016 providing convenient and reliable access to Bozeman and Bridger Bowl Ski Area. The Property is accessed via a well-maintained, graveled road providing reliable year-round access. 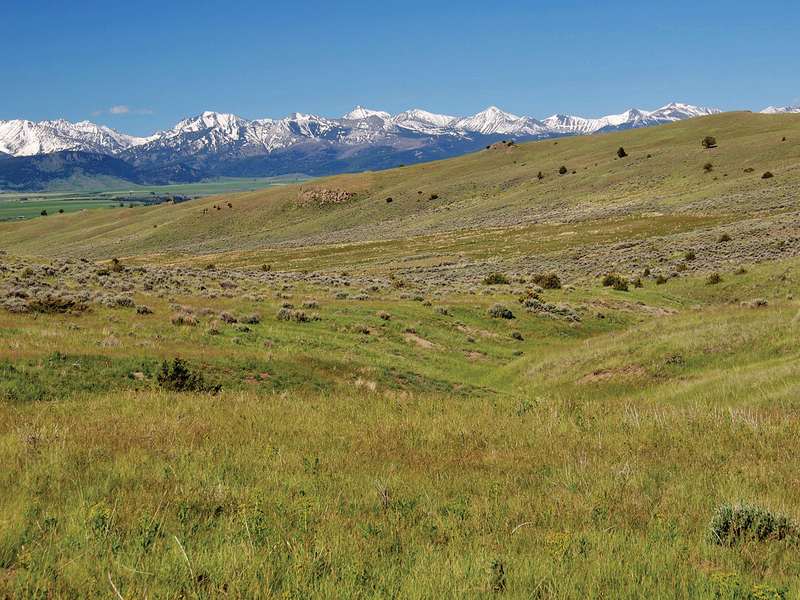 Livingston, Montana is historically a ranching and railroad community and these traditions continue today. Livingston also has a strong tourism-based economy due to its proximity to Yellowstone National Park and world-class fishing. With just over 7,400 residents, Livingston has a strong arts influence as well as many fine dining establishments. 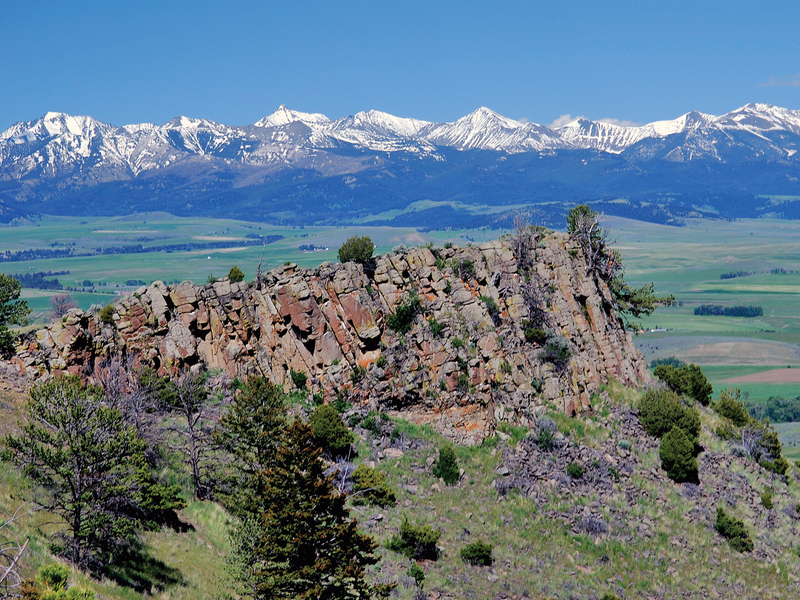 Bozeman is a vibrant and active university-oriented city steeped in culture and art. Bozeman is proud to maintain its small-town feeling with big-city amenities. It is home to Montana State University, Museum of the Rockies, Bozeman Symphony and Montana Ballet. The fourth-largest city in the state, Bozeman offers abundant opportunities for fine dining, lodging, entertainment venues and shopping opportunities. Bozeman Yellowstone International Airport (BZN) at Gallatin Field in Belgrade, Montana is less than an hour drive from the Property. Recently expanded, Gallatin Field offers several full-service FBOs and excellent commercial services through Alaska Airlines, Allegiant, American Airlines, Delta, Frontier Airlines and United Airlines. The seventh busiest passenger airport in the Pacific Northwest, Bozeman offers direct flights to over a dozen major airports around the nation. Big View Basin sits between 5,099± and 5,445± feet above sea level. The average annual precipitation is 16 to 18 inches. May is the wettest month with an average 3.25 inches of rain. Winter months bring an average 8 – 9 inches of snowfall. The area’s growing season is approximately 90 days. Average maximum Fahrenheit temperatures in June, July and August are between 68° to 80°. December, January and February maximum temperatures are between 32° and 37°. Summer nights average about 45° with winter evenings around 14°. Sunshine is abundant in this region of Montana. The Sellers will convey the Property without reservation of whatever mineral, oil, gas, geo-thermal, hydro-carbon and gravel rights which they actually own, subject to reservations by previous owners. The Sellers make no representation as to the quantity or quality of any mineral or other subsurface rights appurtenant to the Property. The real estate taxes for 2015 were approximately $565. Electricity is accessible along the northern boundary through Northwestern Energy. There is cell coverage in certain locations of the Property through Verizon. This area is surrounded by some of Montana’s most desirable recreational areas and picturesque mountain ranges with the Gallatin, and Lewis and Clark National Forests located directly west and east of the Property. Numerous National Forest Service trailheads can be accessed within fifteen- to thirty-minute drives from the Property – allowing for easy trailering of horses to thousands of acres of federal land. The upper Shields River near Wilsall offers uncrowded wade fishing for small but plentiful cutthroat and brook trout. Downstream, the River becomes a brown trout fishery with some larger cutthroat and smaller rainbows also being found. A combination of light fishing pressure, excellent habitat and nutrient-heavy water allows the trout to become quite numerous. Fall presents the best time to fish the Shields River with many large brown trout migrating upstream from the Yellowstone River to spawn. If larger water is desired, the nearby world-famous Yellowstone River offers anglers over 100 miles of trout-rich water accessed by multiple fishing-access sites. Exceptional skiing is a scenic 20-mile drive from the Property with the “Cold Smoke” of Bridger Bowl. Bohart Ranch Cross Country Ski Center, also located 20 miles from the Property, offers the highest quality Nordic skiing with over 30km of trails well suited to all levels of ability. The après ski amenities of Bozeman, voted one of the World’s 25 Best Ski Towns by National Geographic in 2014, are also available nearby. Clyde Park, originally named Sunnyside, served as a resting stop for wagon trains and travelers heading west searching to find their fortunes in the gold digs of Montana and California. The stage stop and watering hole owned by Madame Bulldog was a welcome site for the weary travelers. In 1885, a post office was established in Madame’s town of Sunnyside with young Sarah Robinson as postmistress. In 1887 the post office was moved to the Messrs’ Ranch, a prominent family in the area who brought their imported English Clydesdale horses to work the fields. The presence of the Clydesdales precipitated the renaming of the town Clyde Park, referring to the park-like landscape and majestic work horses of the area. Supplies in the early days were hauled into Clyde Park by Jim Bowen, known as the “Cayuse Kid,” who freighted with a twenty-four horse jerk line. By 1914 the Northern Pacific Railroad had constructed a spur line and was making its run up the Shields Valley past Clyde Park six times a week. 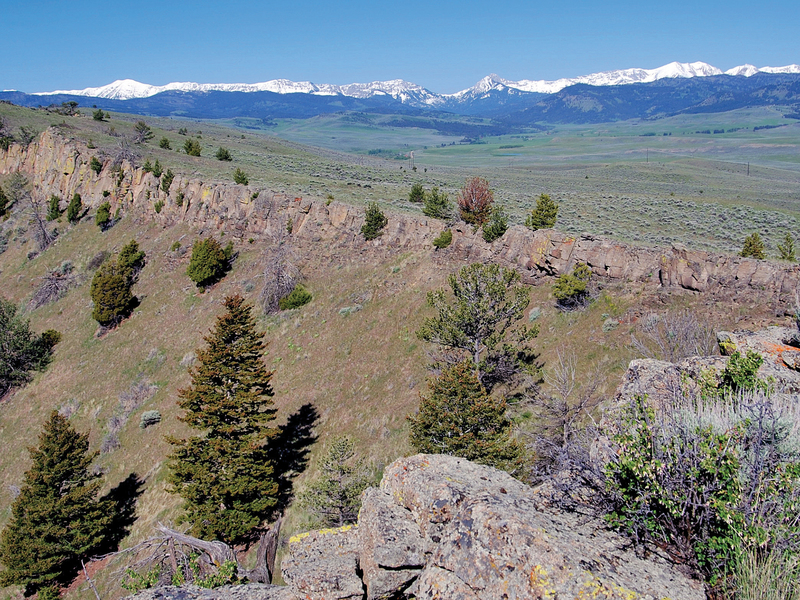 Big View Basin is located in a very desirable and scenic area of Southwest Montana. The Property provides a great opportunity to acquire a holding with unparalleled simplicity of ownership and enjoyment while providing the next owner the flexibility to carefully divide the Property if needed. With a short commute to Bozeman and Livingston, the Property is ideal for the individual or family looking for privacy and solitude but also having the amenities and services of larger vibrant communities nearby. Multiple building sites exist on the Property to provide the next owner the enjoyment of choosing a special location to plan and construct a new home and outbuildings befitting personal taste. The Property is competitively priced for this area of the State. Buyers’ Brokers are welcomed and invited to contact Mike Swan or Steve Leibinger in our Bozeman Office for information regarding Cooperation Policies.